Callet, Mantonegro and Fogoneu – none of the wines seems to inspire much in the way of awe when made on their own. Words like rustic, simple, local, pale color, light-skinned/dark-skinned describe the single grape wines (hint: if people are talking about how thick/thin the skin of a GRAPE is in their description of WINE, it probably means they don’t like it or there isn’t much known about it; happens pretty often with obscure wines, often for good reason). But the beauty of these three wines is that their differences blend together really well. And for someone as profligate as your author, blending is beautiful. A bit of a light-skinned light wine here, add in a bit of that dark-skinned wine there, combine with something that has tannins heavy enough to sahara the windpipe, and voila — balance. 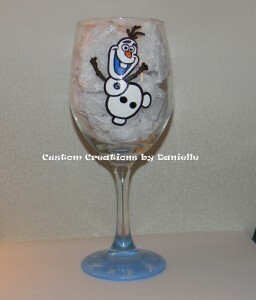 WWOD — What Would Olaf Drink? Certainly there must be more to it than that, but the magic of dancing elixirs and spoonfuls of sugar that we people with kids watch on a daily basis has likely convinced us that all that is required for a truly beautiful blend of wine is the right melody and the right loveable dancing companion. * Pliny the Elder — the original encyclopedia man whose work all subsequent encyclopedias were based — praised the wines of Mallorcan as some of the finest during the decades after Jesus was born. * Selenho, frequent profilee in this blog, gets credit for pulling out two bottles of this AN/2 at Boqueria years ago… and on numerous subsequent occasions. Sommeliers like him are amazing. Friends like him are rarer than Fogoneu.